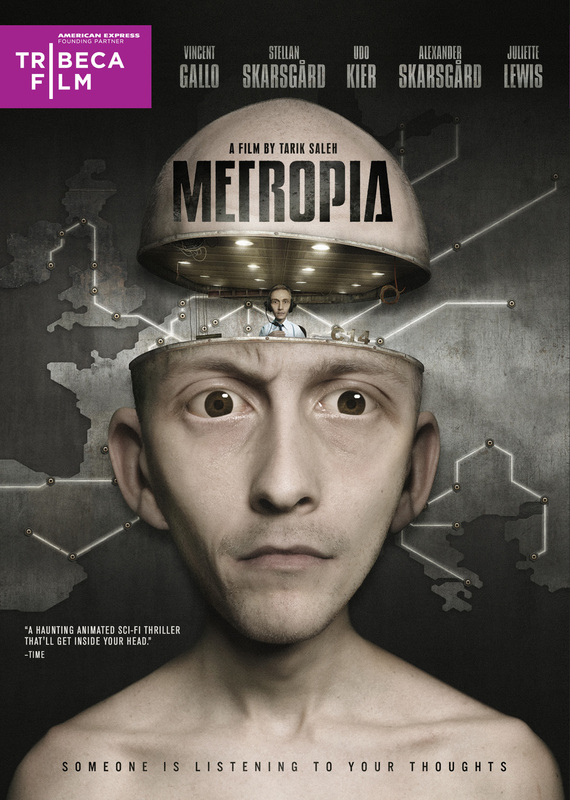 NEW YORK, September 21, 2010 – You have never experienced anything like Metropia, the noir vision of Europe in 2024 by animator, writer and director Tarik Saleh. Vincent Gallo (Buffalo ’66), Juliette Lewis (Cape Fear), Stellan Skarsgård (Mamma Mia! ), Alexander Skarsgård (True Blood), and Udo Kier (Shadow of the Vampire) voice the inhabitants of the future Continent, connected by an Orwellian web of underground railways and blind alleys. The world is running out of oil. The underground train systems have been connected, creating a gigantic network beneath Europe. In a suburb of Stockholm, Roger (Gallo) avoids the underground because every time he enters it, he hears a stranger’s voice in his head. Is someone trying to control him? To help him escape this disturbing web, he looks to the mysterious Nina (Lewis) but the farther they travel, the deeper he becomes involved in a dark conspiracy. See the visually-arresting film that captured the Future Film Digital Award at the prestigious Venice Film Festival in 2009 and has captivated audiences around the world with its singular look and feel. The single disc comes with a revealing interview with director Tarik Saleh and members of Metropia’s indelible cast. 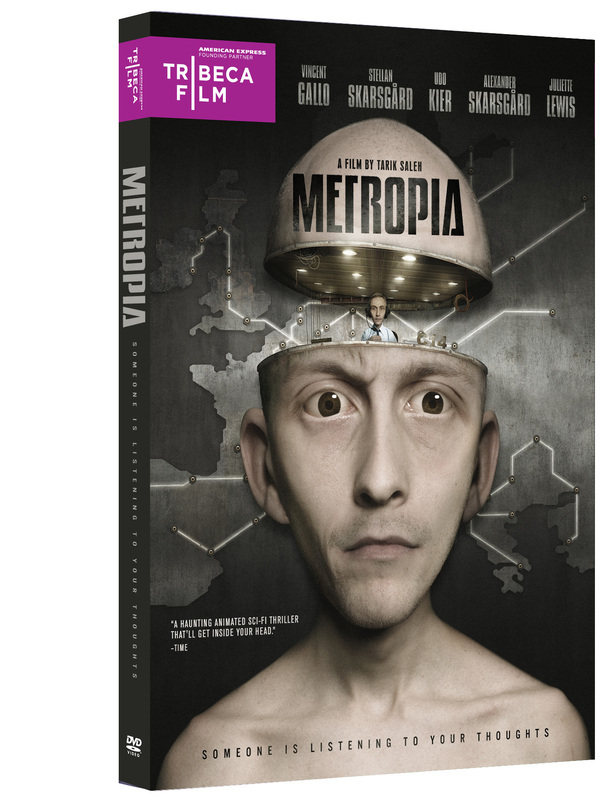 Metropia is one of 10 Tribeca Film titles scheduled to be distributed by New Video in 2010 and 2011. Tribeca Film is a distribution platform acquiring and releasing films year-round and is supported by Founding Partner American Express. The films range from award-winning dramas and revealing documentaries to uproarious comedies and stunning animated features, many of which premiered at the 2010 Tribeca Film Festival prior to theatrical runs in New York and Los Angeles. The films from the Tribeca Film slate were also available on video on demand in 40 million U.S. homes simultaneously with their Festival screenings through relationships with leading telecom, cable and satellite providers.